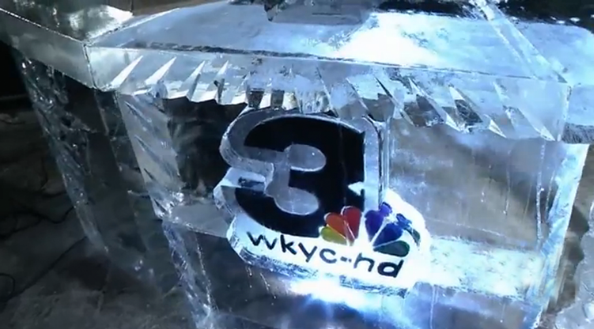 WKYC-TV, the Gannett NBC affiliate in Cleveland took its polar vortex coverage to the next level — by creating an anchor desk carved from ice. The desk, created by ice sculptors Elegant Ice, is standing height and also includes, of course, a dial thermometer. The sculptors even fronted the desk with the colored station logo and created a smaller version of the logo for the top of the desk.